Finally, a fifth wheel that works in conjunction for the 2014-16 2500 RAM / 2013-2016 3500 RAM with the factory under-bed rail system! No need for adapters!! Installs and removes with its two-piece design. It's notable for its effortless hookup and release with the cam-actuated latching mechanism. 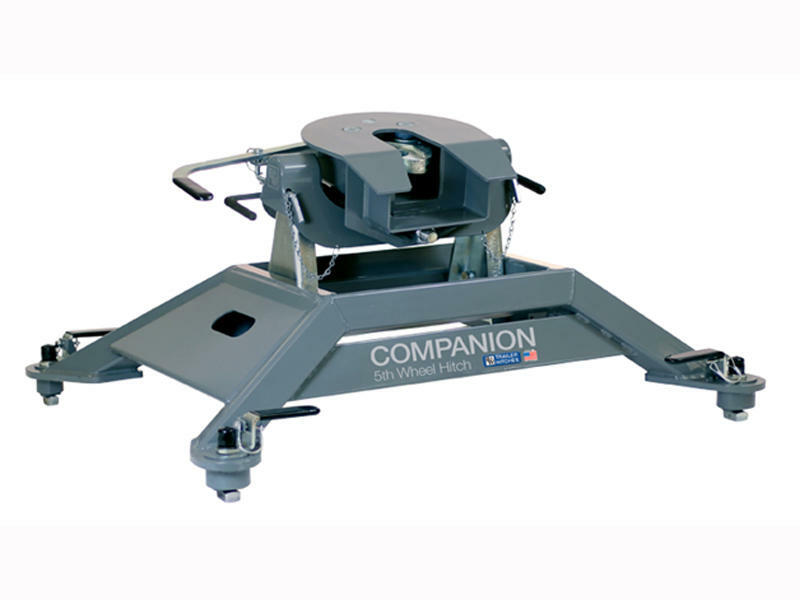 The 1" thick cast locking jaws are machined for tighter tolerances, providing a perfect connection to the camper and a smoother towing experience. Everything you expect from a B&W! 3 vertical adjustments - 17" to 19"